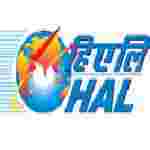 Karnataka HAL Apprentice recruitment 2016-17 apply online : Hindustan Aeronautics Limited (HAL) welcomes application for the position of Apprentice-ship training in the trade of operator advance mechine tool under apprenticeship act 1961 under CSR initiative of Hindustan Aeronautics Limited (HAL). Candidates who completed their SSLC is a good opportunity.The individuals who are the occupation seekers searching for govt employments in Karnataka this is the best chance to apply. Competitors read the official notification then read all the guidelines and miners precisely then apply before the last date online application got. All the interested and eligible candidates can apply before 12th August 2016. Candidates Age Limit: The age of the candidate should not be less than 15 years and should not be more than 18 years. The age of the applicant should be as on 1st October 2016. Academic qualification details: Candidates should have passed SSLC class standard examination board or equivalent with minimum aggregate marks of 60% marks for general categories candidates / other backward class categories candidates and 50% for schedule caste categories candidates / Schedule tribe categories candidates / person with disabilities categories candidates. Process of applying for the job: Candidates may apply in prescribed application form along with self-attested recent passport size photograph send to Technical training institute, Hindustan aeronautics limited, Bangalore:- 560017 on or before 12th August 2016. Important Dates: Last date for the submission of application is 12th August 2016.